Current Team Sky rider Łukasz Wiśniowski signed a deal with Continuum Sports. 26-year-old Pole will be nineteenth rider in the new World Tour squad – CCC, sponsored by Polish shoes and bags brand. Wiśniowski joined the World Tour level with the Patrick Lefevere`s Etixx-Quick Step in 2015. 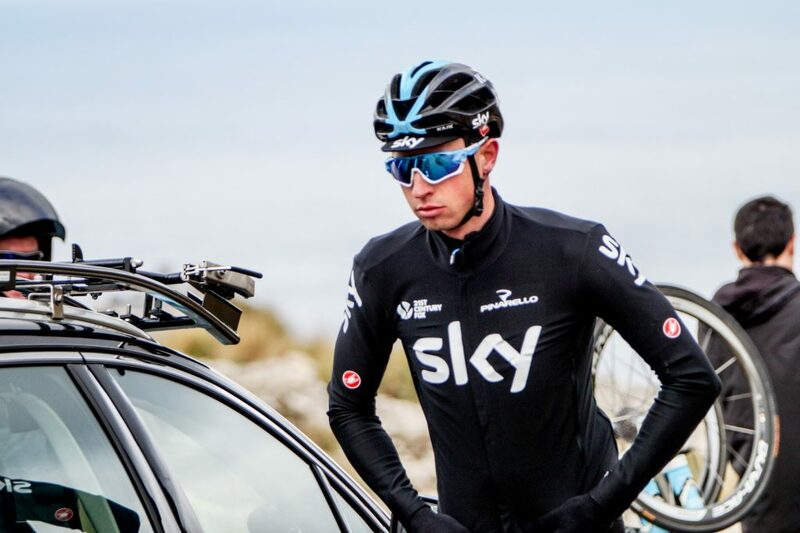 For the last two seasons he has ridden in Team Sky colours together with his compatriots Michał Kwiatkowski and Michał Gołaś. ‘I had an offer from Sky, but I decided to take a step forward. At my age I would like to achieve something significant so it`s a good moment for change, I think. I have nothing to lose – if I don`t try, I will never know if I can be a sole leader in some races. I`m sure it`s [signing a contract with CCC] a good choice for me’, Wiśniowski said in a phone interview with Naszosie.pl. Wiśniowski turned professional four years ago. He made his Grand Tour debut in the Giro d`Italia 2016 and has six Monuments participations to his name. At Team Sky he developed as a Classics rider. In 2018 he was second at Omloop Het Nieuwsblad and eighth at Kuurne-Brussels-Kuurne the following day. ‘I`ve always been concentrated on Classic races. This is my main goal for the nearest future. Of course, Greg Van Avermaet will be our leader in one-day races, but I will have more chances to ride for myself. I talked to Piotr [Wadecki, sports director in a new CCC team] and we agreed my race calendar for 2019. I start from Omloop Het Nieuwsblad and finish spring campain in Ronde van Vlaanderen and Paris-Roubaix’, said Wiśniowski. Piotr Wadecki also promised Łukasz Wiśniowski a chance to fight for stage victories in a three-week race. Still relatively young Polish rider has a long career ahead of him so Jim Ochowicz, general manager of the team, is going to help him to reach his potential. ‘If I`m in a good shape, I will start in the Tour. At this moment everything`s going into the right direction. But first I would like to prepare myself for the Classics season and then I will start to think about the Tour, added Wiśniowski. Now Łukasz Wiśniowski is waiting for the final decision whether he will ride or not as a member of Polish National Team during the World Championships in Innsbruck. If yes, he will support the leaders – Michał Kwiatkowski and Rafał Majka. It`s one hundred percent sure he won`t participate in the team time trial with Team Sky.